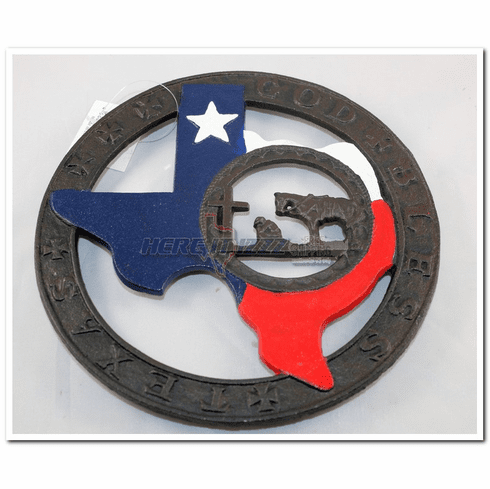 Cast iron stove trivet or wall hanging. Measures 9" diameter with rubber feet to protect surfacea. Copyright � 2018 Here It Izzz All Rights Reserved.